The earth tilts, wobbles and rotates, each causing huge effects on the way our planet has formed. Yet one of the lesser known phenomena arising as a result is the Midnight Sun. Find out where the best places to see it in our guide. Often called, Polar Day, it is an effect caused by the earth's tilt and rotation. As summer arrives, the earth tilts closer to the sun – resulting in more warmth and longer hours. In the Arctic circle, however, the tilt is so severe that the area is rarely left untouched by the sun, resulting in near-permanent daylight. Don't expect to see blistering sunlight for 24 hours a day – the Midnight Sun is far more nuanced. Lying low on the horizon, spending time outside during the night will feel like you're living amidst an everlasting sunset. It is both beautiful and intriguing at the same time. 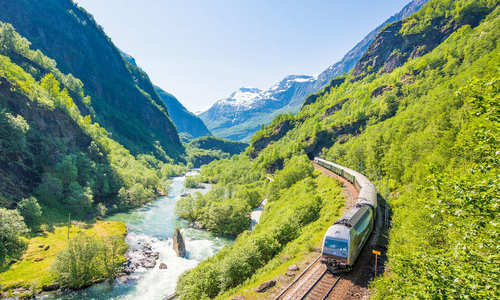 One of the most popular destinations to see the phenomenon, Norway has many excellent locations to choose from. 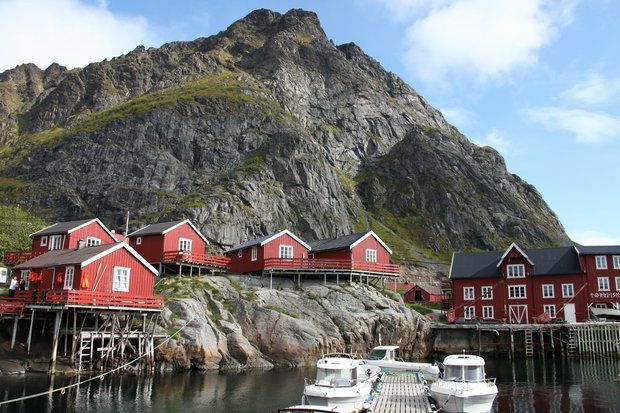 Journey towards the Lofoten Islands – one of the most beautiful Arctic landscapes in the world. Idyllic fishing villages set against arresting mountainscapes give way to the vast expanse of Arctic Ocean in one of Norway's finest exhibitions of natural beauty. Try your hand at a round of golf – at midnight. Or venture up to North Cape on the island of Mageroya – the northernmost place in Europe – for over two months of consecutive Midnight Sun. We recommend: Bodo and the Lofoten Islands – a week-long road trip across the lands where Edgar Allan Poe wrote Descent into the Maelstrom. 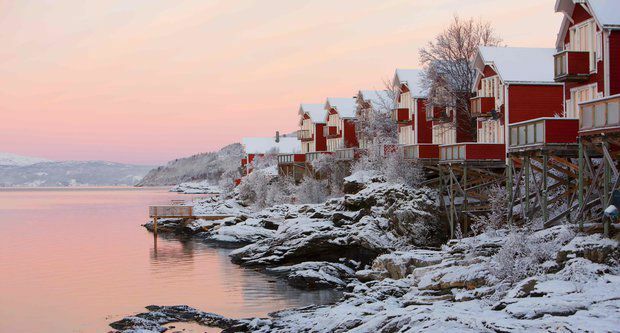 Sleep in a traditional red-painted fishermen's cabin overlooking the shores of Nusfjord. The Lofoten Islands isn't just great for the Midnight Sun – when the season subsides, it becomes the perfect location for chasing the Northern Lights. Trade the cosiness of your cabin for a night-time trip up to a remote mountain camp and witness the Northern Lights in all its breathtaking beauty as it flits, darts and skims across the night sky. The frontier town of Kirkenes, close to the borders of both Finland and Russia, is a prime spot for enjoying the Midnight Sun. 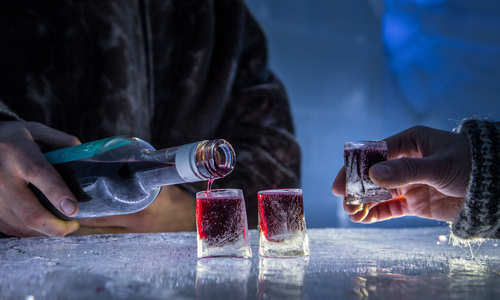 Famous for its SnowHotel – the world's most northern – the town serves as an ideal base from which to throw yourself into any one of the fantastic excursions on offer. Handle your own team of huskies on a safari dogsled against the backdrop of an everlasting sunset, deep in orange and yellow hues. Better still, catch your own dinner on a superb king crab fishing trip. Sat on a frozen fjord accessible only by snowmobile-and-sled, you'll find yourself cutting holes in the ice before dropping your line in. Anything you catch will be cooked up back at the fisherman's home – you can't get any fresher or sustainable than that. Kirkenes is home to the indigenous Sami people. Beautiful in its scale of remoteness, Greenland exudes an exospheric charm like no other place on earth. The few people that live there foster a culture of deep affinity for nature, ably demonstrated by the number of excellent excursions – including 'night-time' Midnight Sun expeditions that'll take your breath away. Ilulissat is the main draw here: a small settlement north of Nuuk on the western coast. Its icefjord is a UNESCO World Heritage Site, while its population is equal to its number of sled dogs. During the Midnight Sun, stretch out your day and embark on an epic five-hour dogsledding tour, visit an age-old settlement on the icefjord an sample Greenland's cuisine at a village restaurant: reindeer, crowberries and harp seal are all strongly worth trying. 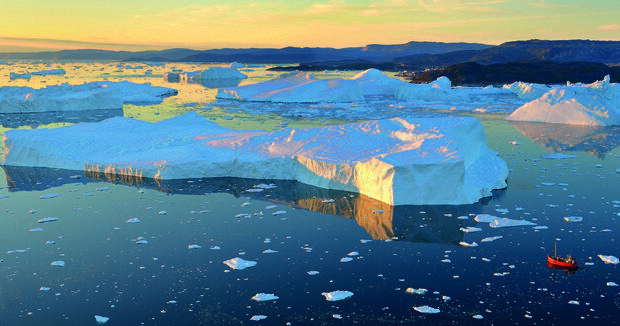 We recommend: Winter Ilulissat – a week-long tailor-made journey to Greenland, sandwiched by days spent in Copenhagen for a spot of shopping, sightseeing and exploration. Or combine Greenland with Iceland and add volcanoes, geysers and geothermal spas to the adventure. On 21st June, enjoy Iceland's (in)famous Summer Solstice Festival – a debaucherous event that pays homage to Iceland's Viking history with plenty of drinking and dancing through to the next day. 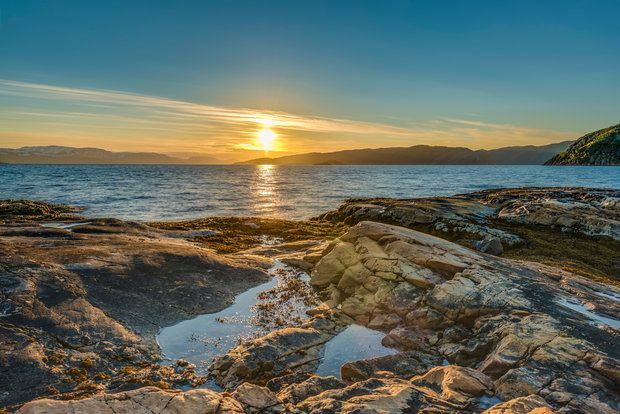 The lively city of Tromso is highly accessible, with direct flights from London Gatwick available and regular flights from Copenhagen taking less than two hours. While Tromso may be better known for its Northern Lights, it boasts excellent Midnight Sun credentials. A combined trip with Malangen Resort will provide an refreshing – yet exciting – Midnight Sun holiday. Reinvigorate yourself with lengthy sunshine and slow the day's pace down by relaxing in a traditional fisherman's red cottage overlooking a fjord – there aren't many better ways to unwind than by wrapping up warm and reading a book on the fjordside balcony. 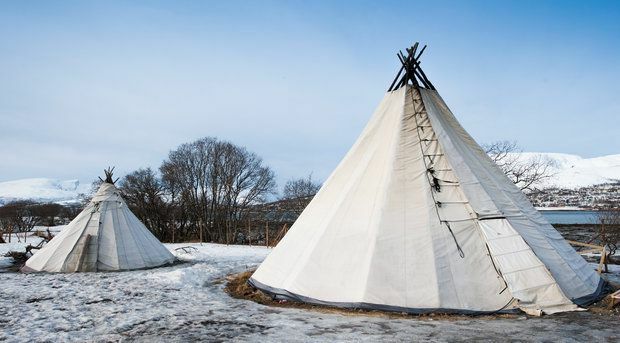 Or while the day away at a greater pace with a snowmobile tour through the Arctic, passing indigenous Sami people's tents and an abundance of snow, ice and spruce and pine trees. If you would like to speak to one of our travel specialists, please contact us.